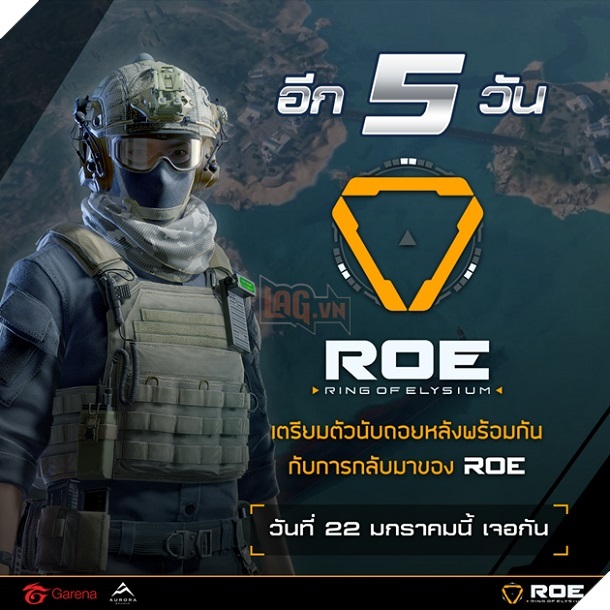 Home » ROE News » Garena Ring of Elysium Thailand: Get ready to test the new map on Jan 22, 2019! It is available to test the new map on Jan 22, 2019! Garena Ring of Elysium Thailand has just announced the time to open the test for a map which not existing before, on January 22. On the official Facebook fan page of Garena RoE Thailand, you can see the information related to the new map test announcement which will take place for 5 days, from 22/01/2019. Gamers should seize that opportunity to discover the playfield. Not only that, you can experience additional weapons and other characters in Tencent’s game title. 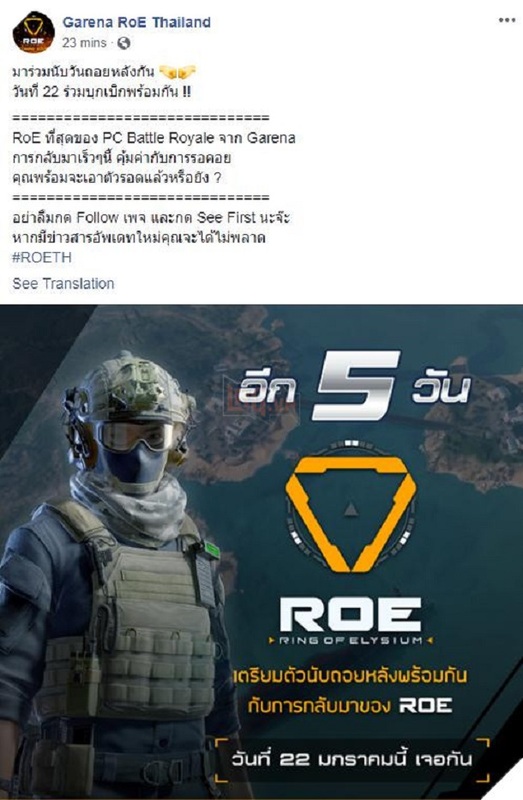 After testing Ring of Elysium for a long time on servers located in Thailand, Taiwan, and including on Steam in which nothing has been revealed, Garena RoE Thailand suddenly launched a surprising statement on their fan page that the Battle Royale Ring of Elysium in the favorite collection of Tencent will be continued testing back on January 22, 2019. 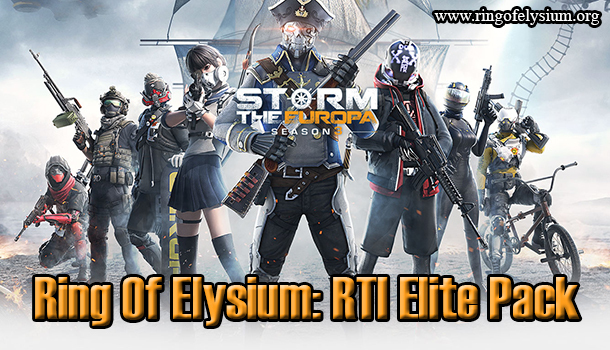 To people in the community which loves Ring of Elysium game, that pronouncement is the good news because those who live in Thailand will not have to use the fake IP each time they want to play on Steam anymore but just download and enjoy it as usual. With the update, hope that Garena RoE is also improved and more secrets will appear, for example, the mode named From Dusk Till Dawn, or features reserved for the survival such as setting campfire in houses and constantly refilling fuel like firewood, gas to keep the flame. The fuel and food to restore your health are essential for you, especially during cold nights. Besides, you can collect plenty of deadly weapons, vehicles on a completely different map known as Europa Island.